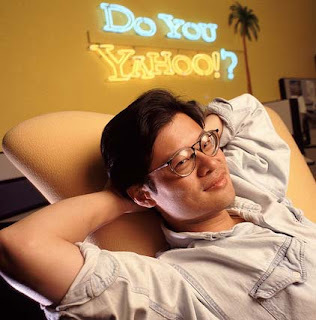 eNLokam: Jerry Yang...Out ...from Yahoo!!! 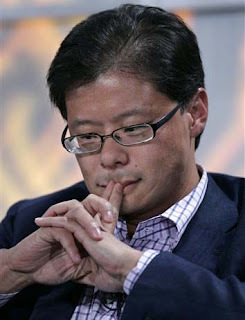 Yahoo co-founder Jerry Yang has left the company after 17 years of strong bond. 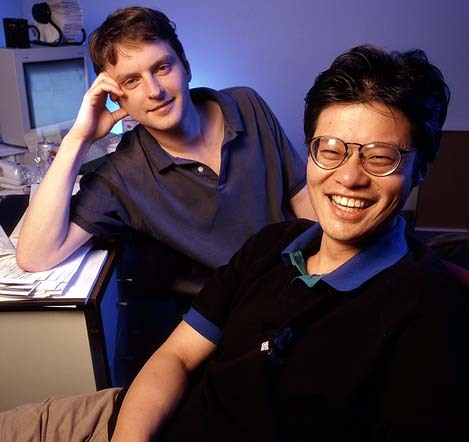 It was Yang, now 43, who co-founded Yahoo in 1995 while at Stanford University with fellow graduate student David Filo. He had been on Yahoo's board since the company's inception and served as the CEO from June 2007 to January 2009. He is now giving up his honorary title "Chief Yahoo," as well. Yang’s resignation came shortly after the appointment of Scott Thompson, who was previously president at PayPal, as Yahoo’s new CEO. Yang is leaving following disturbances in the company regarding his series of wrong decisions and moves including handling of acquisition talks with Microsoft and the company’s lackluster performance, reports say. It was Yang who turned down a chance to sell Yahoo to Microsoft for $47.5 billion, in May 2008. Now, with the tarnished image, the company costs only below $20 billion! But personaly Yang is now worth about $1.1 billion, according to Forbes magazine's latest estimates. He don’t have to worry at all, so to say!! !